Black Bear Saloon (Hartford, CT) Unlimited wings and Bud Light for $25 from kickoff until halftime. Brewers Coalition (Newton, MA) - Half priced bone-in wings starting at 5pm on Sunday. Brio Tuscan Grille - Get 20% off online orders this weekend when you used the code SUPER20. Cook - (Newton, MA) This new restaurant that's getting a lot of buzz is offering specials from 4:30pm to close on Sunday. On the menu: pulled potato skins, salt & pepper chicken wings and chili nachos. Harry's Bishops Corner (West Hartford, CT) A special buffalo chicken pizza is being offered on Super Bowl Sunday. Jerry Remy's (Fenway Park) - If you don't want to watch the game on one of their huge TVs, Remy's is offering several to go Super Bowl meal deals. Order "The Halftime" for $35. It comes with a bunch of wings, spinach & artichoke dip and sliders and feeds 4 to 6 people. There are a bunch of other meal combos on their website. They are also mixing several special drinks for the Super Bowl. Row 34 (Boston) Watch the game on their big screen TVs. Special menu includes Lobster Roe popcorn, fries, onion rings & fried chicken wings. Skybokx 109 (Natick, MA) Super Bowl fundraiser for Park Family who's home was destroyed in a house fire. 20% of the food sales will go to help them out on Sunday. They are also offering some food specials for the game. T-Bones (Several locations in New Hampshire) Offering a Super Bowl Party Pack with chicken tenders, queso dip, chili dip, torilla chips, fresh veggies and buffalo chicken egg rolls. TD Homer's Bar & Grill (Southington, CT) Buy two platters and get a $10 bonus card. Lots of drink specials including beer in a souvenir glass. CLICK HERE for a list of Maine restaurants that are celebrating the Super Bowl. 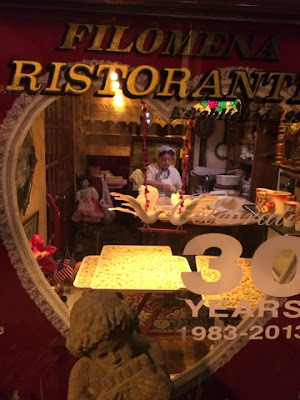 ON THE ROAD: PERFECTION AT FILOMENA RISTORANTE IN D.C. The pasta mamma making some gnocchi. If you've ever been to Washington, D.C., you know that Georgetown is the place to be. Sure, there are losts of places to shop, but Georgetown is also the home to many wonderful restaurants. The finest, in my humble opinion, would be Filomena Ristorante. It's impossible not to fall in love with this place. Before you walk in, you can see the pasta mamma making her homemade pasta in the front window. Step inside this time of year and romance is in the air. There are hearts, love birds and red lights all over for Valentine's Day. 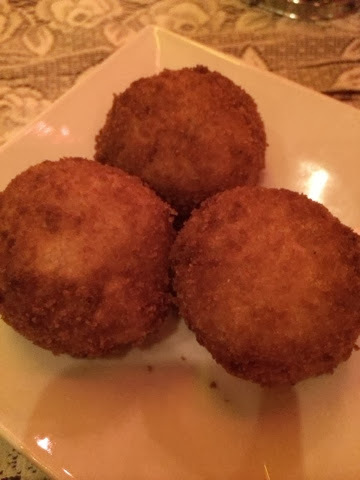 We lucked out and happened to visit Filomena's on the last day of restaurant week. Three courses for $35. Your server will deliver some Italian bread to your table to begin, but be careful. Have a slice or two. You don't want to get stuffed. For my first course, I had arancini balls. They were as good as it gets. You cut them open and mozzarella cheese pours out. Absolutely incredible. For dinner, I ordered their ravioli and meatballs. I tend to avoid ravioli because they don't tend to fill me up and the cheese is often flavorless. This was certainly not the case at Filomena's. 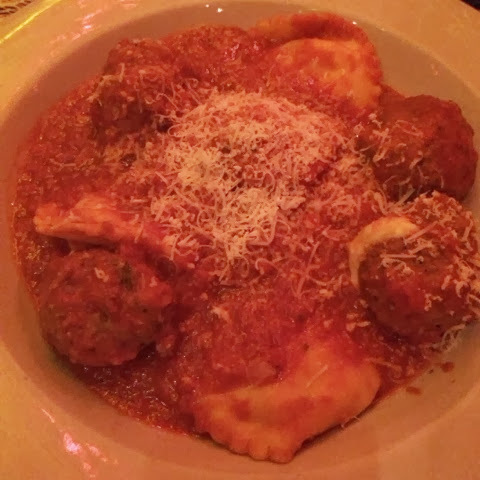 Their homemade ravioli is so tender and those little meatballs served with it are full of flavor. A perfect Italian dish. I can also highly recommend their "Gnocchi Della Mamma," a heaping portion of the pasta mamma's gnocchi and bolognese sauce. Filomena Ristorante's dessert menu is vast and their desserts are as fine as their entrees. 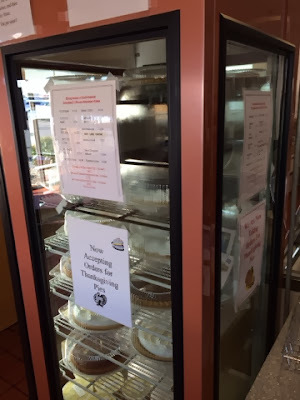 They have cheesecake, several cakes, tarts and tiramisu. I loved their triple chocolate mousse cake. It's made with three light and airy layers of chocolate mouse and topped with chocolate shavings. 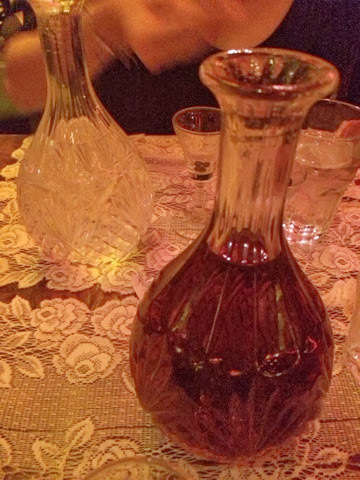 Dessert is also served with some after-dinner drinks, amaretto and anisette. With them comes a small glass of coffee beans. You add three of them to your drink. One for love. One for health. The last for wealth. How nice is that?! Eat Up New England is on the road again. 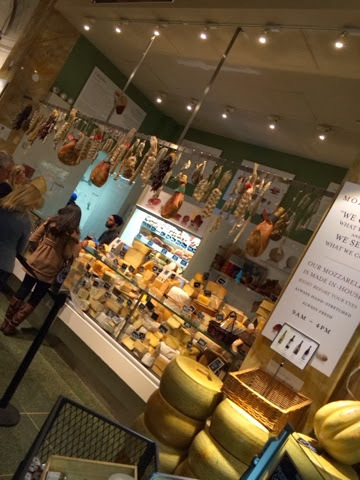 This time, visiting one of New York City's famous Eataly. 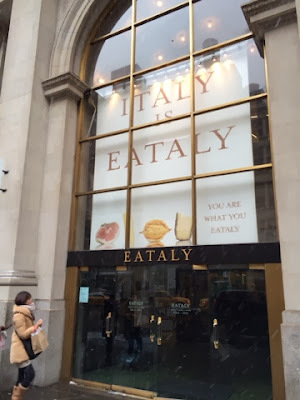 This place is the real deal when it comes to authentic Italian food and it should be because it's owned by noted restauranteurs Mario Batali, Lidia Bastianich and her son, Joe Bastianich. 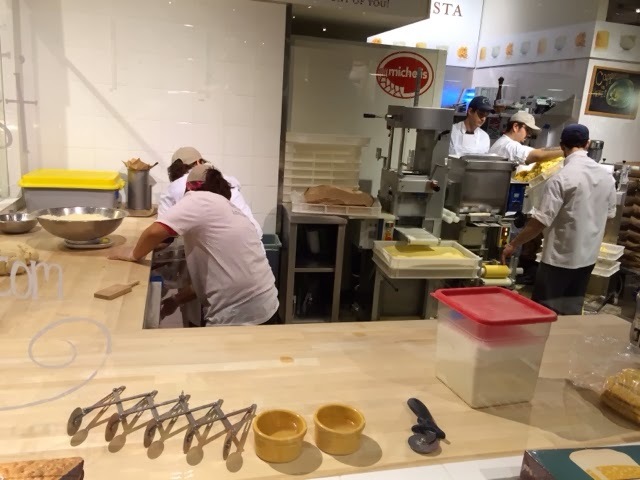 At 50,000 square feet, Eataly NYC is vast and can be a bit overwhelming for the first time visitor. There's a lot to eat! Give yourself a couple of hours so you can really take it all in. There are various food stations where you can get food for dine in and take out. If you have the time, you can eat at one of their themed restaurants with table service. One spot serves all vegetarian. Another specializes in seafood. I went for a little of this and a little of that from the various food stations when I visited. I devoured a slice of spicy sausage pizza from their pizza station. For dessert, I had their chocolatey tiramisu, which was perfect. The highlight for me was their hot chocolate. Be sure to try it when you visit in the winter. 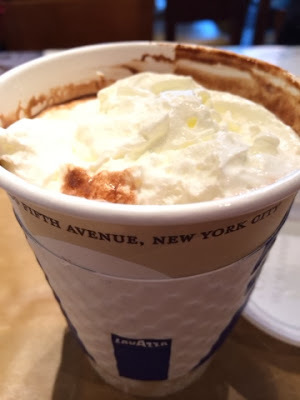 The rich flavor is unlike anything you'll experience anywhere else and is topped off with a generous portion of whipped cream. Eataly also carries all of the groceries you'll need for the perfect Italian meal. There are fresh fruits & veggies, pastas, breads, fresh truffles, Italian candies. They even have their own fresh mozzarella station! It's not all edible. Eataly also supplies all of the kitchen gadgets you'll need to prepare dinner. You can also buy cookbooks from the famous owners and other Italian chefs. Be sure to pick up a mug, plate, bowl or apron with the Eataly logo to remember your visit. IT'S RESTAURANT WEEK AT MOHEGAN SUN! This picture was taken a few days before they closed. It's hard to believe, but a Connecticut tradition has closed its doors for good. Sort of. 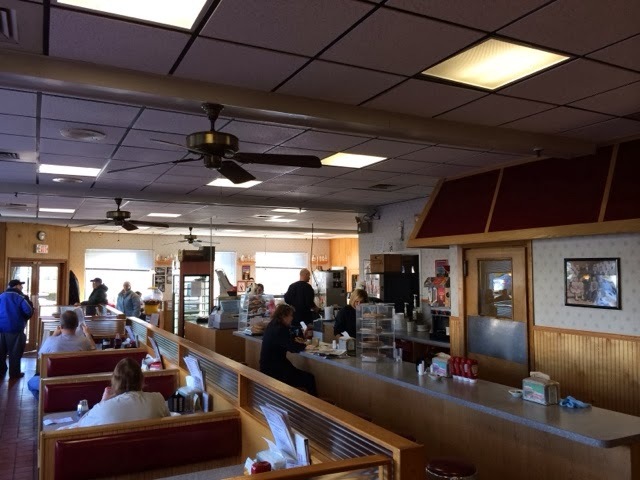 Since 1940, Mortensen's has been serving food and ice cream to their customers from their Berlin Turnpike location in Newington. Sadly, they are moving on to the next chapter and that means the restaurant is closed. They served their last meals to the public on December 31st. Mortensen's has been a favorite spot for my family for decades. We'd stop by for a sandwich and fries for dinner or a grilled cheese and bacon for lunch. 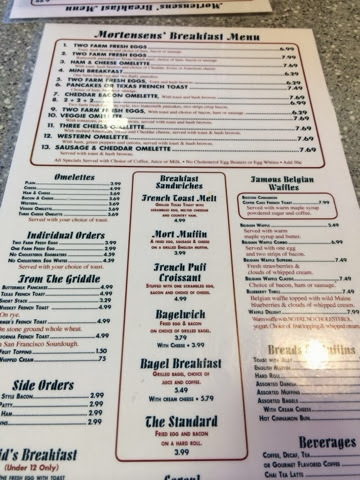 For me, it was their breakfast that really put Mortensen's on the map. 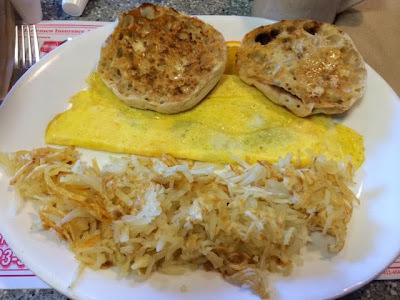 I loved their #7 breakfast special: a bacon & cheddar omelet with hash browns and your choice of toast. I always went for a grilled English muffin. Not only was their food great, but their staff couldn't have been any kinder. The same people, some of them members of the Mortensen family, worked there for years. You could always count on seeing them and catching up. It's no wonder why so many people were so sad to see a place like this go. I ordered my last #7 on December 30. We hugged our waitress. My grandmother even took a picture with her. We were far from alone. Many of the regular customers were there doing the same thing. This spring, a Moe's Southwest Grille will open up where Mortensen's has stood for so long. In the back of the restaurant, will be Mortensen's ice cream. They also have another location in Cromwell, Connecticut that serves ice cream and the family has said they hope to open a few more ice cream shops. 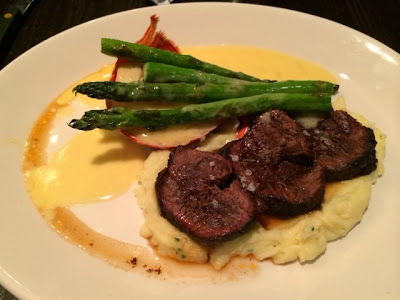 Mortensen's Restaurant: thank you for all of the wonderful meals and memories. I've been to Stone Hearth Pizza so many times. Their menu is full of Italian favorites that I'd like to try, but every time I go, I wind up ordering this delicious dish. 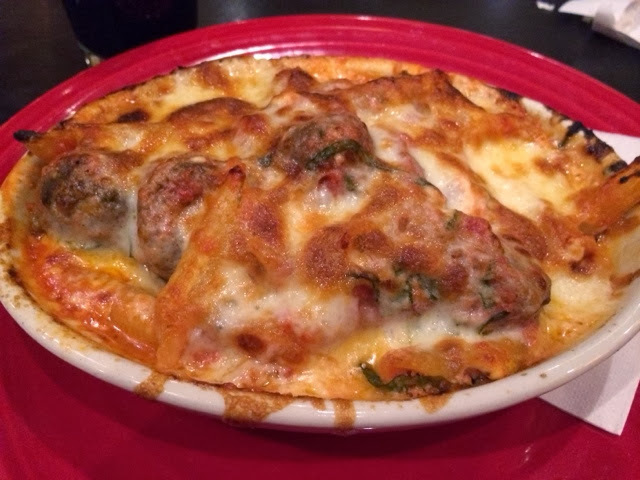 Feast your eyes on their meatball lovers penne bake. Provolone, ricotta and mozzarella are blended together to make this hearty meal along with several flavorful little meatballs. Wash it down with one of their draft beers and you're good for the night. SHAKE SHACK IS COMING TO BOSTON! HAPPY NEW YEAR FROM EAT UP NEW ENGLAND! Welcome to 2014! Here's to another year of delicious dishes. I rang in the New Year at The Foundry on Elm in Somerville, Massachusetts. Check out that surf & turf! They also had a champagne toast at midnight, dancing and free New Year's party favors.